Breweries, or more specifically brewhouses, are traditional places where guests enjoy what are typically copious amounts of local food and drink in a congenial atmosphere. 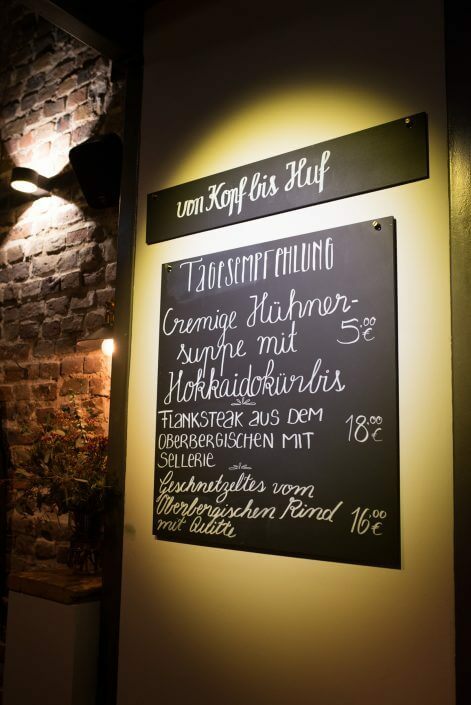 In Cologne, the local brew is served in tall narrow glasses known as Stangen – and although the local custom dictates that the waiters, known as Köbes, be somewhat gruff to their customers, these days that’s the exception rather than the rule. Until November 2017, this is what visitors to a brewhouse would expect and enjoy, with slight variations here or there. That month, a brewhouse opened in Cologne’s Südstadt neighbourhood that broke with most of the brewery traditions – starting with its name, Johann Schäfer. Since then, a fresh breeze has been wafting through the city’s gastronomic scene, with pils beer brewed on the premises, vegetarian food, cordial service and a cosy atmosphere. Maybe a blueprint for the brewhouse of the future? The young local hero behind this small-scale revolution is Till Riekenbrauk. 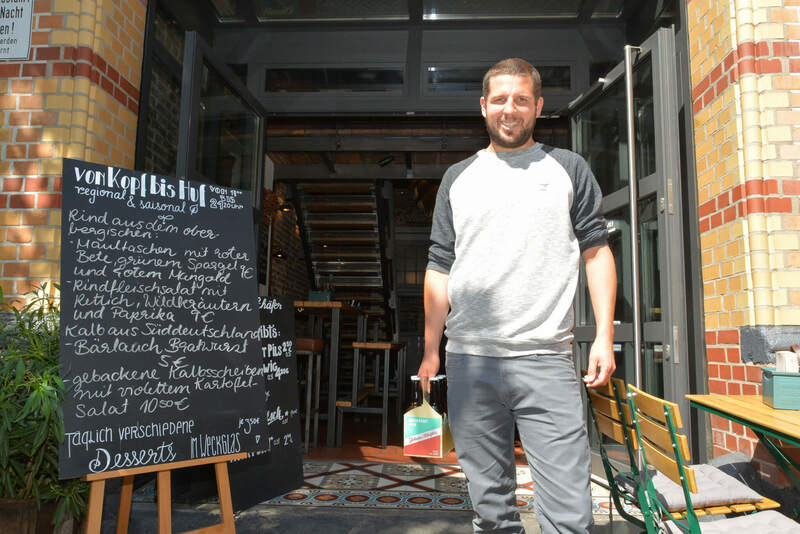 The 32-year-old Südstadt native started working in hospitality and event management while still studying economics at university. In 2015 he gave his debut on Cologne’s gastro scene when he opened Laden Ein in the Agnesviertel neighbourhood, a kind of fixed-location pop-up restaurant that hosts new occupants every fortnight, most of which have rather exotic offerings such as Basque pintxos, Peruvian ceviche or Hawaiian poké. 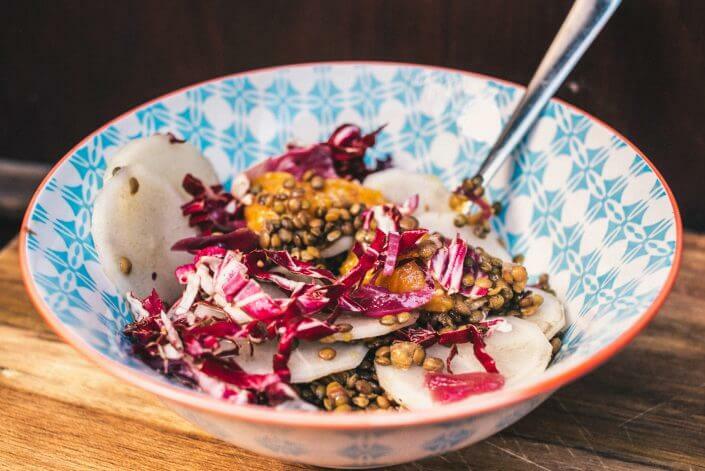 Riekenbrauk had struck up a relationship with the pop-ups’ proprietors during his tenure as the organiser of the Street Food Festival, an institution that first saw the light in Cologne’s cultural centre Odonien and since then has spread to a good dozen cities across the country. Yet despite his enthusiasm for international food trends, Riekenbrauk has always maintained a soft spot for the culinary attractions of his native Cologne. 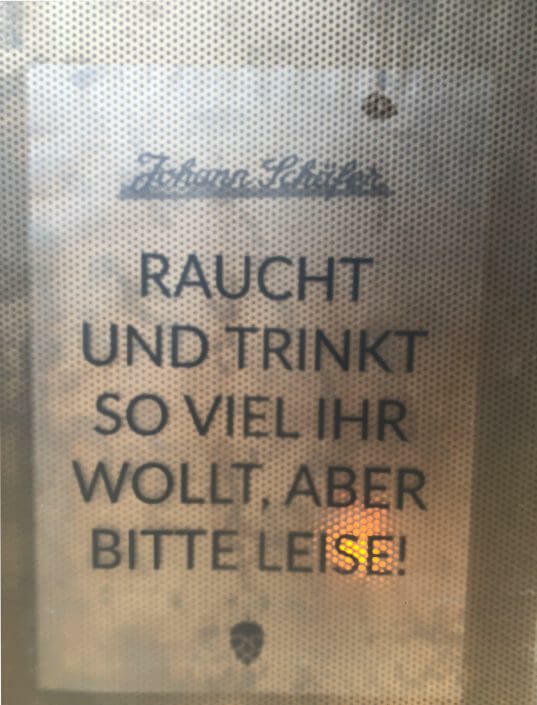 While he was looking for a suitable location for Laden Ein, he came across an empty property on Elsaßstraße that from then on preyed on his mind as the perfect fit for his brewhouse ambitions. As Riekenbrauk recalls, the brick building at number 6 was the object of desire of more than one entrepreneur from a variety of industries, not least because it’s a property with a history. 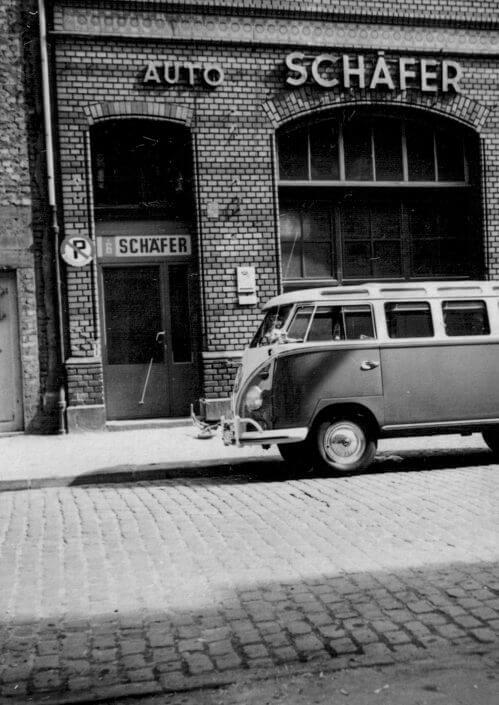 For a long time it functioned as the head office of Johann Schäfer, a logistics company. During the 1970s the owner – the eponymic Johann Schäfer – organised legendary parties that became known as the Kirmes in der Elsaßstraße, or “the Elsaßstraße funfair”. One unforgettable highlight in this series of festivities was a performance by local band Bläck Fööss in 1974. If local lore is to be believed, it was the first outing of what would later become an evergreen for the band, Polterovend en d‘r Elsaßstroß (“pre-wedding party on Elsaßstraße”). In the battle for a new occupant, Riekenbrauk managed to outdo his rivals and take possession of this traditional venue. Together with his partners he removed the lifting platform from the rather austere inside of the building and knocked the old plaster off the walls. 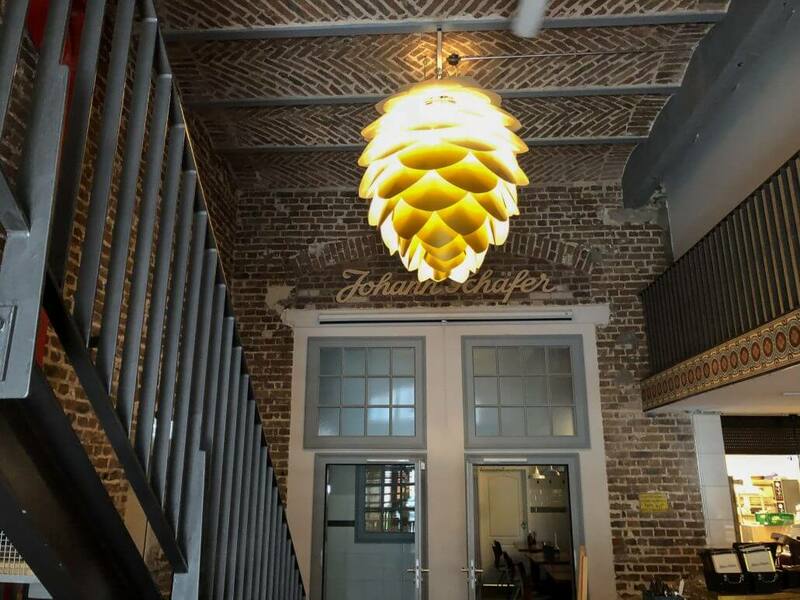 This revealed a layer of Portuguese-style tiles that were probably affixed in 1889, the year the building was constructed – providing the new tenant with just the inspiration he needed for the brewhouse’s interior design. The bar now features reproduction tiles, with pretty Mediterranean-style edging on the exterior walls as well as inside which combines with the naked red-brick walls to create a fresh, attractive atmosphere. Johann Schäfer’s modern take on brewhouse traditions continues with the menu, which is short and much lighter than usual on meat dishes (those that do feature are marked with the name of the producer). 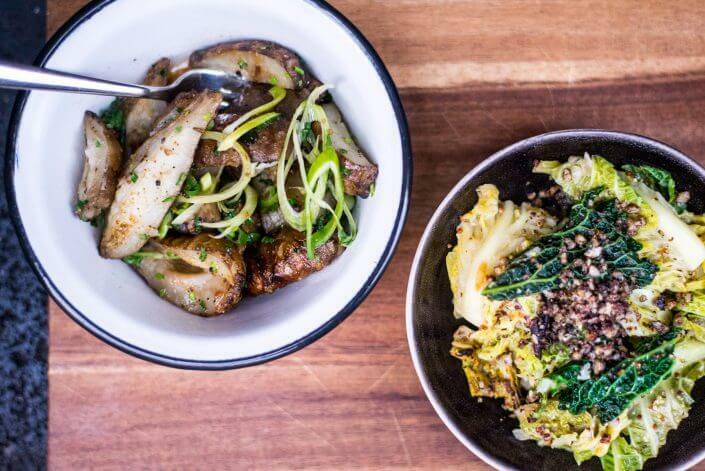 What is more, Riekenbrauk feels strongly about the “head to hoof” principle: the head chef is instructed to buy entire animals wherever possible and use all of their meat in a variety of dishes. Almost as a matter of course, the menu also features items such as baked courgette with garden peas or cauliflower salad with sorrel and mountain cheese. 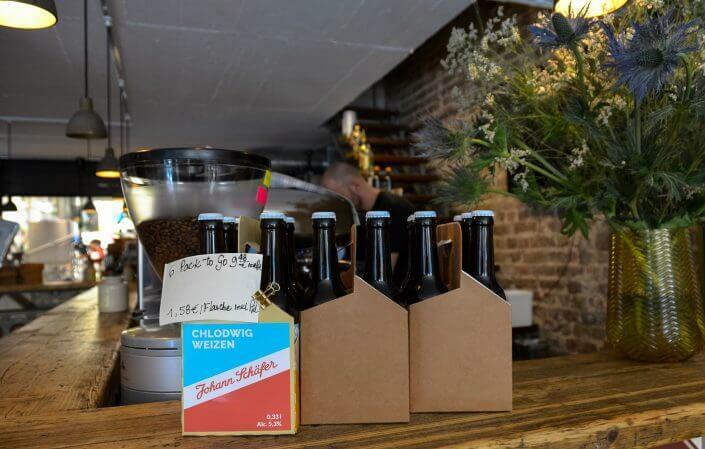 Rather more classic brewhouse options such as home-made aspic or mature gouda cheese are listed under the tongue-in-cheek heading “drinking aids”. Guests can order side dishes such as hand-cut chips or braised sweet potatoes with chilli honey. All items can be ordered to be shared among everyone around the table. 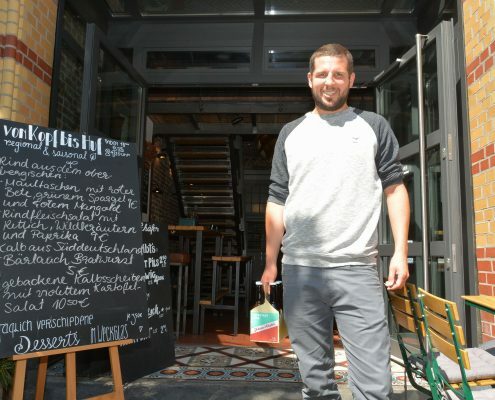 However, the pared-down and updated menu is not the only way Till Riekenbrauk has decided to give his brewhouse a modern twist. The main character in this show is still, as tradition requires, the beer – but the real stars of the beer menu are Johann Schäfer’s very own creations, Südstadt-Pils and Chlodwig-Weizen, a wheat beer. 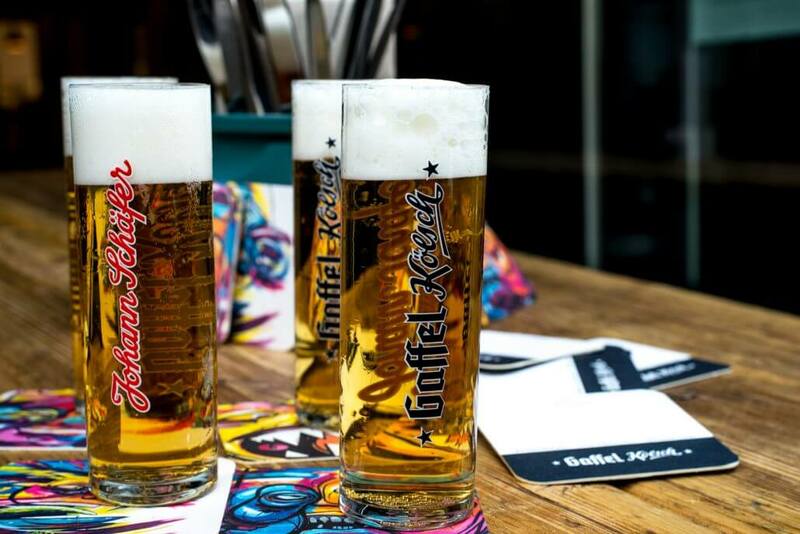 In a beer-centric city such as Cologne, Riekenbrauk’s concept has apparently hit a nerve. 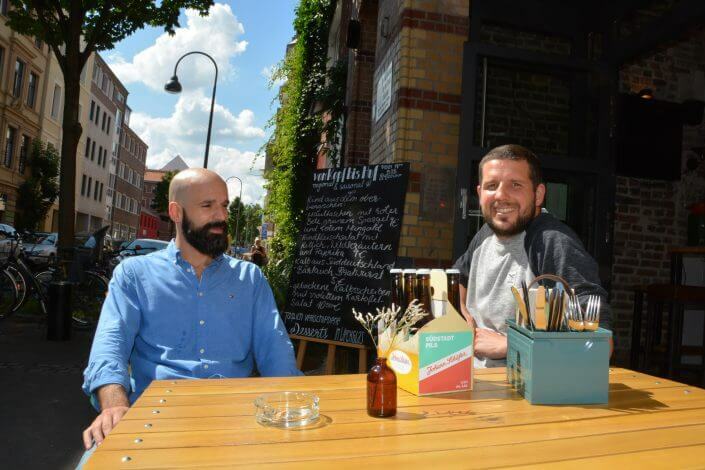 Demand for his liquid products is definitely on the rise, with both options now available for sale in bottled form both on the premises and at Brigittes Büdchen, a popular neighbourhood kiosk. Although this is all remarkable in and of itself, it would be only half as much so if not for the friendly waitstaff, most of whom speak the Cologne patter, monitor beer levels in guests’ glasses and are also good at improvising where necessary: for instance by asking guests to squeeze in to make space for newcomers, as is often done in Cologne, or only seating tables for an hour at a time. Still, seating does come at a premium at Johann Schäfer, exacerbated by the fact that its licence is currently only valid between 5 and 10 pm. Riekenbrauk shrugs good-naturedly. “We’re a 35-hour brewhouse,” he laughs.